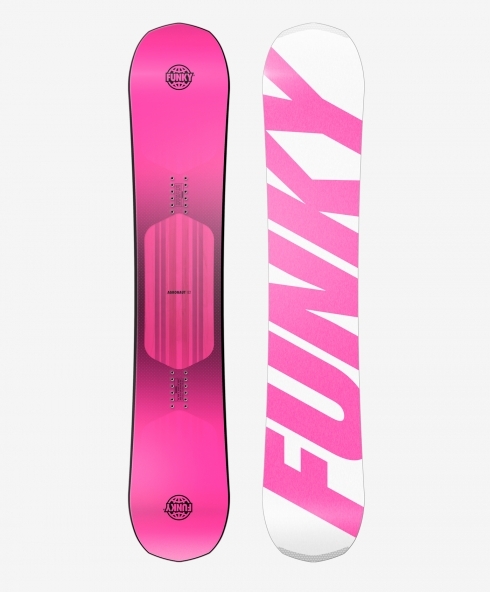 This model was designed to be the best ally of those snowboarders who seek for a freestyle all-terrain board. 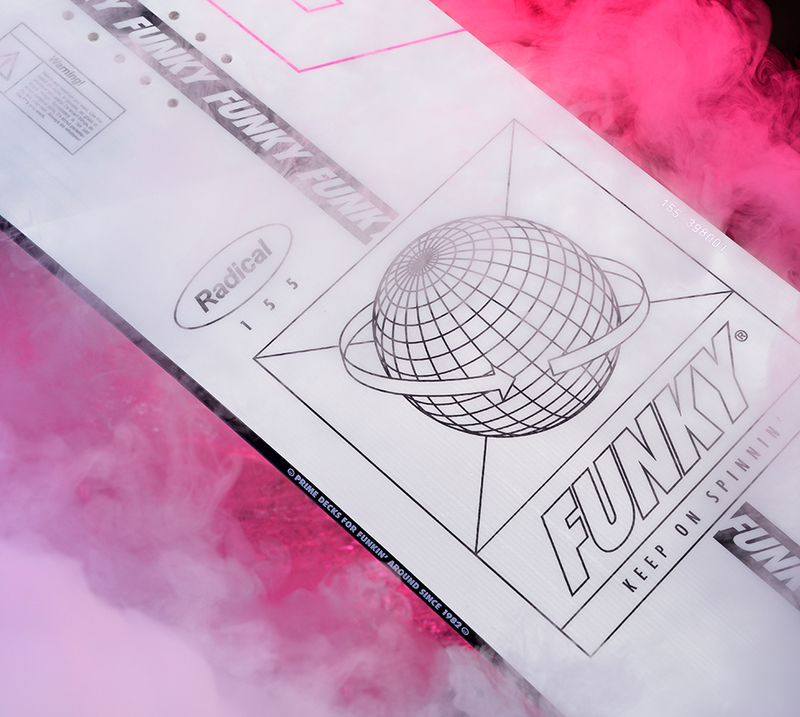 Funky Radical available in measures 152, 155, 158W, 161W. Keyword: versatility. Key adjective: eclectic. 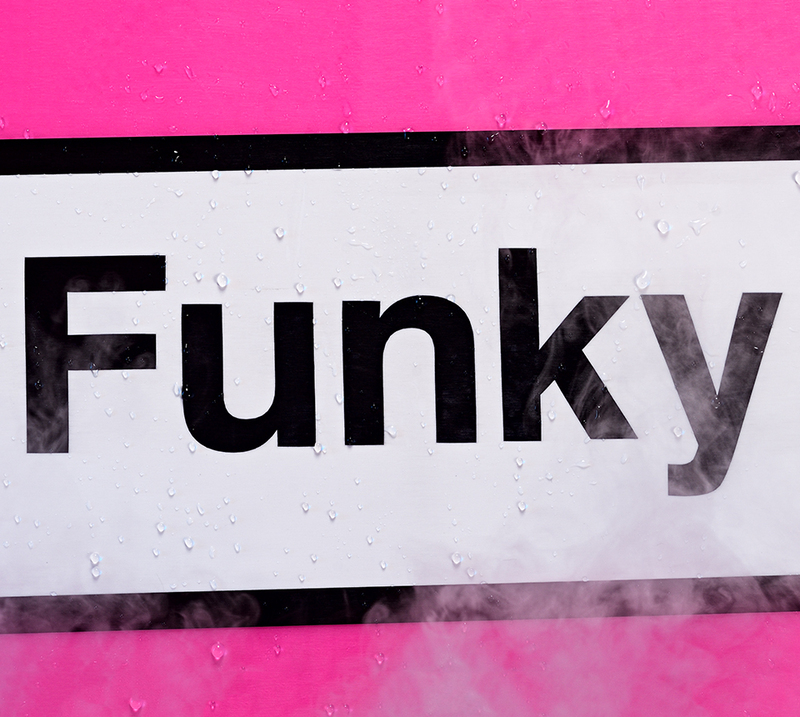 It’s hard to believe, but the Funky Radical has been improved once again. 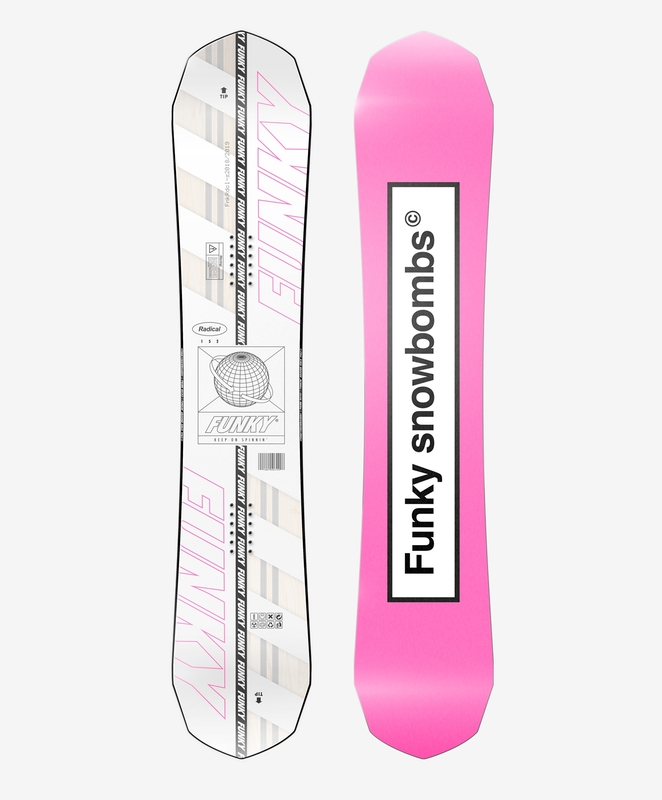 This model was designed to be the best ally of those snowboarders who seek for a freestyle all-terrain board. 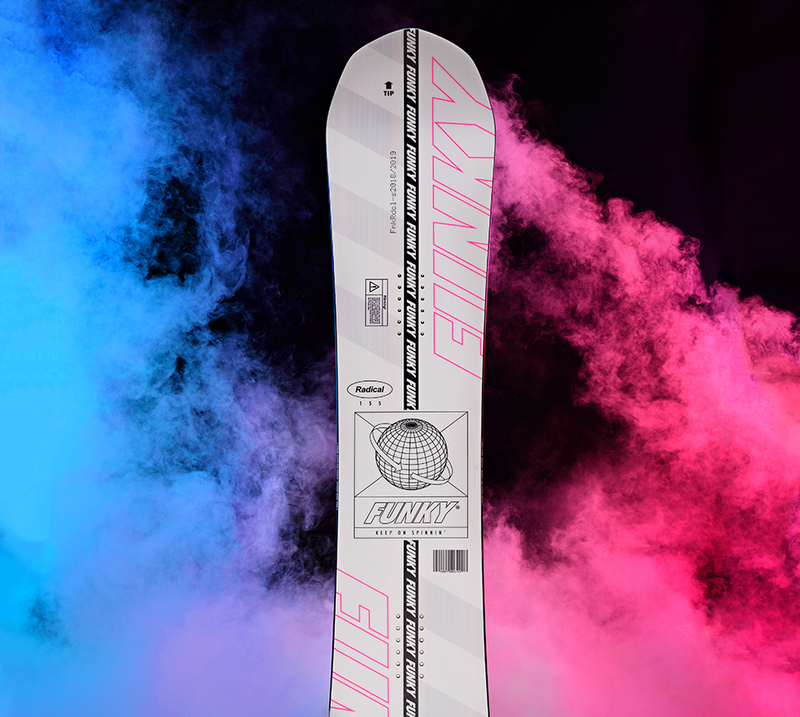 Stunning in lightness and featuring a newer base even faster than the previous, the sintered base nanotech 9000. 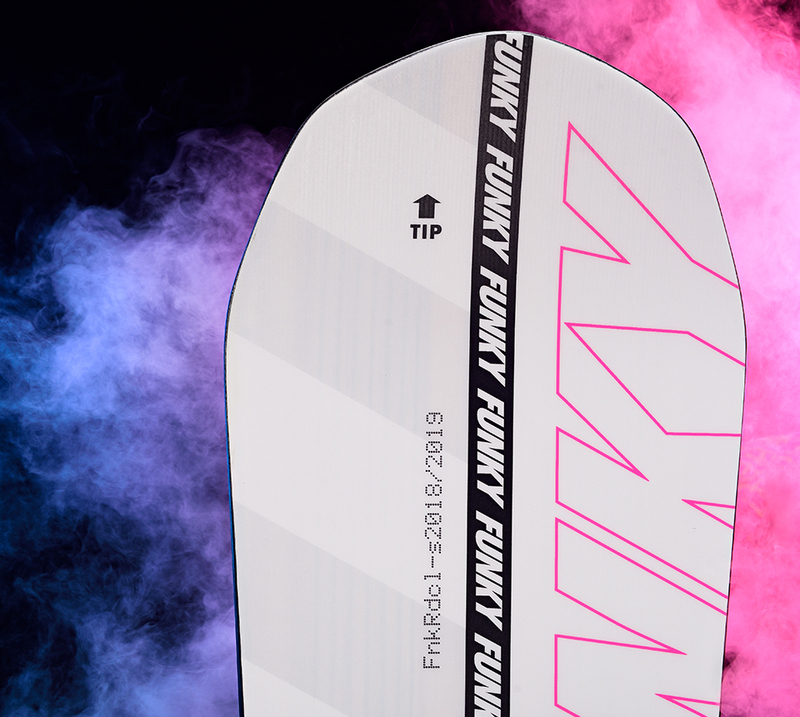 This board is precise in conduction and powerful in pop thanks to the thunder carbon stripes inserts. 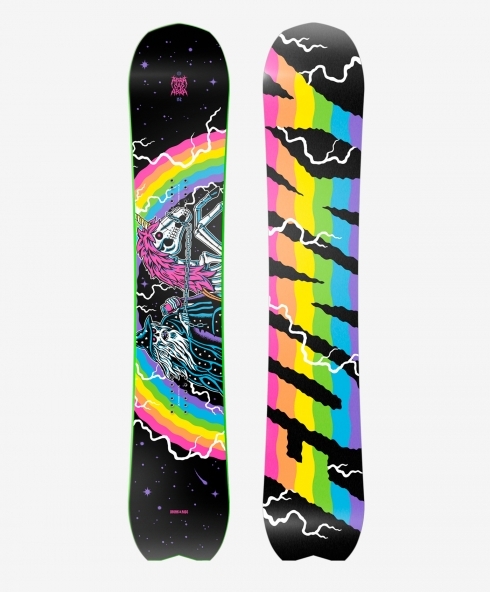 The positive RCR hybrid camber between the bindings and the rocker towards the tips transforms this model into a perfect freestyle board even in powder days. 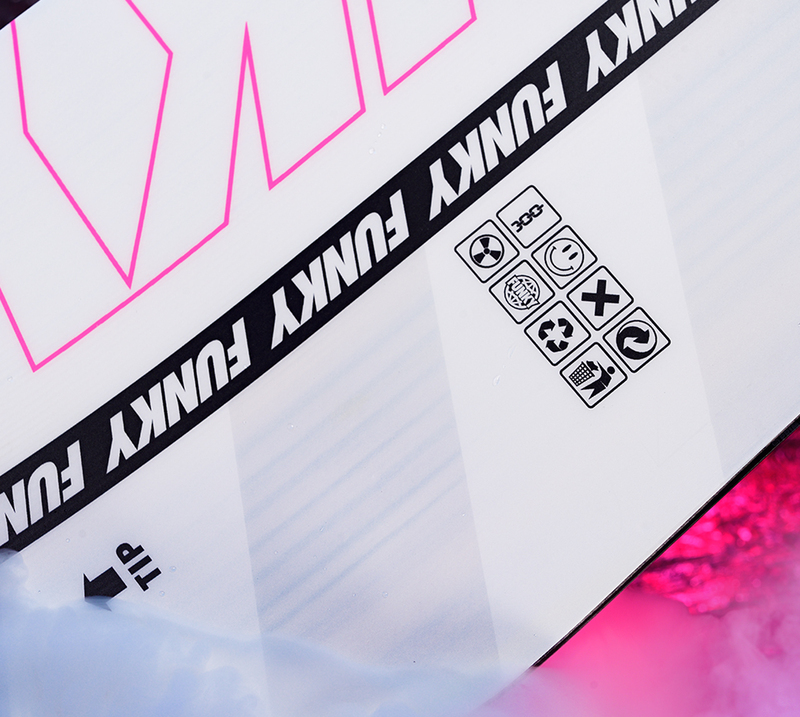 As versatile and ingenious as world famous Swiss multi-function knife, the Radical is able to adapt to your riding style, from the snowpark to the lines in powder without smudging. Best seller 2017.
is developed to combine the benefits of the camber with those of the rocker. The result is the perfect compromise between agility and pop. 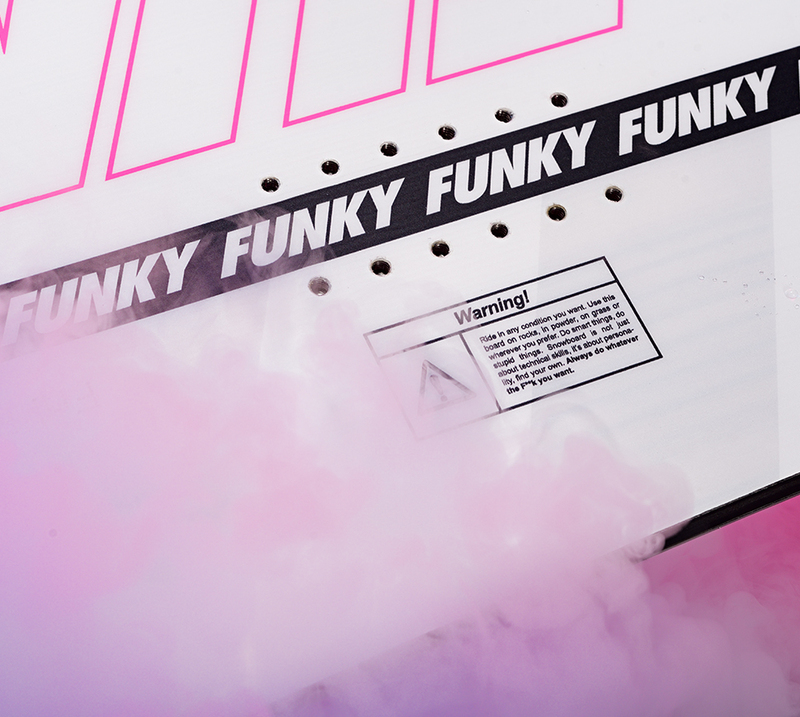 Transparencies and overlays, a graphic on different levels with streetwear references. The core is composed of two different types of wood (white poplar and beech) that are cut into single-piece strips assembled longitudinally, in order to improve reactivity. The Smart Wood Core guarantees a durable and homogeneous flex while maintaining pop, elasticity and lightness. The sintered base nanotech 9000 has been engineered with fluoride nanoparticles, a material used by pro-riders in international competitions. 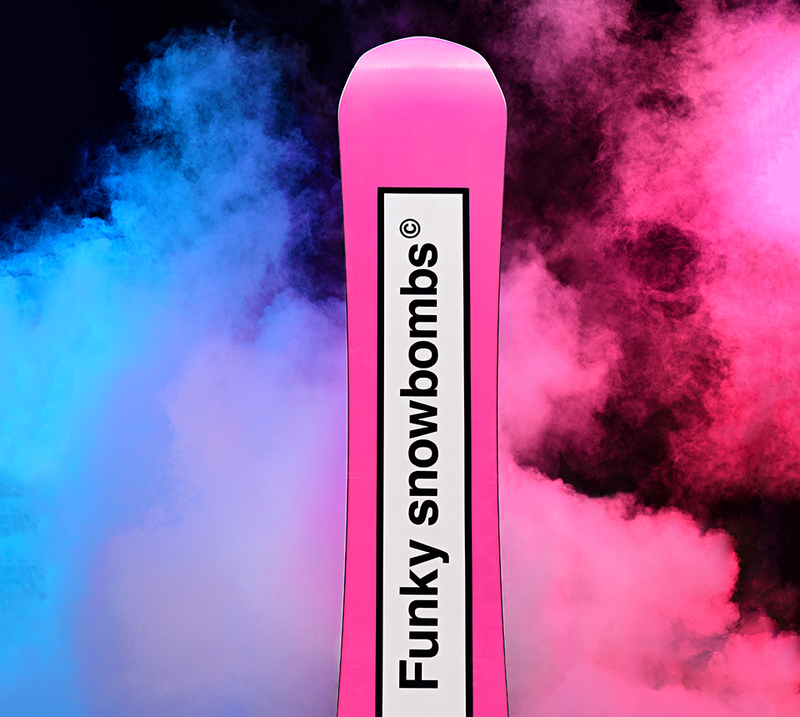 The result is an extremely durable base which pores remain open in any climatic condition, ensuring maximum speed and a perfect absorption of the wax. This is a particular modeling of the core executed CNC to facilitate the board's central flex.